For a couple decades I was a photographer of women and I worked with a few astonishing beauties. To me, the highest level of beauty is a woman who is "so beautiful, she's painful to look at." Why? Shouldn't beauty be a pleasure? Yes, and looking at a fantastically beautiful woman for me was a great pleasure, but it also involved a certain kind of pain. The pain of longing for something that is beyond your grasp. A future you'll never ever be able to enjoy. One such woman whose name is a household word was Audrey Hepburn. This page features photos that look like they were all part of one shoot. Enjoy and feel the pain I feel. I don't understand. 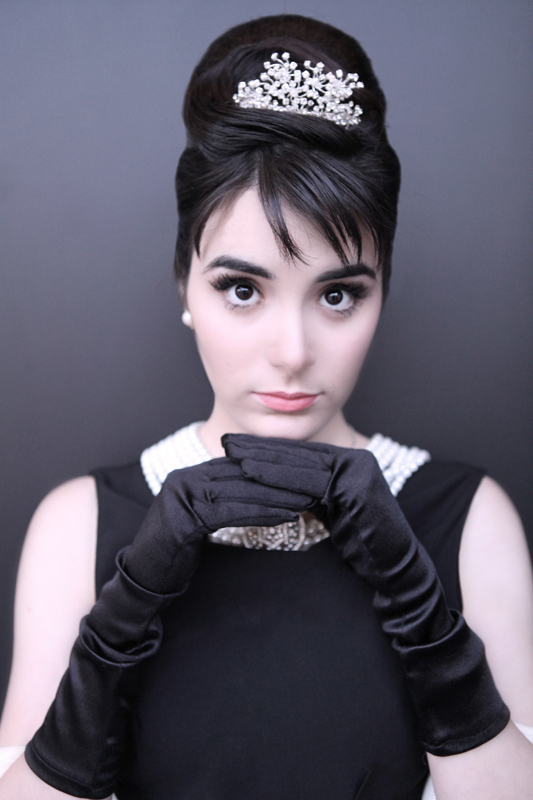 Who is the girl trying so hard to look like Audrey Hepburn?